Red Hat Developer Toolset is the collection of development and performance analysis tools provide by Redhat Enterprise Linux to assist developers in their daily life tasks. These tools were primarily built to run on Redhat Linux operating system but they can be easily installed and used on its derivatives like CentOS and Fedora. This toolset lets you run the newer versions of developer applications on your operating system in parallel with old or stable releases of those programs that come already pre-installed with your operating system. The most recent version for Redhat Developer Toolset is 4.1 . Let’s see what’s included in this latest release and how to install it on CentOS 7 operating system. What is included in Red Hat Developer Toolset 4.1 ? 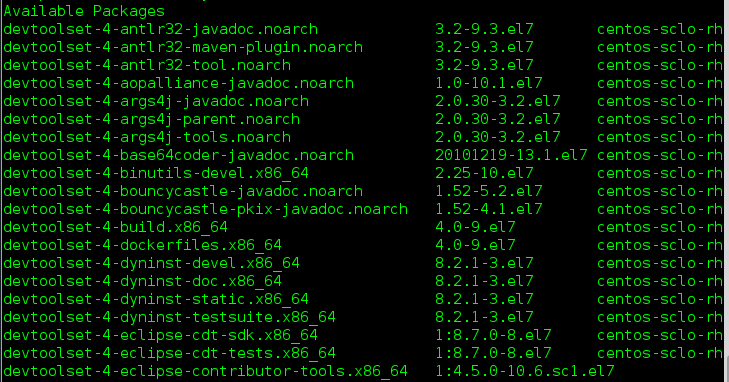 Equipped with a long list of tools, 4.1 release contains some many popular applications. Noteworthy of them is listed below with short description. SystemTap tool lets users analyze the performance and stability of their Linux system without recompiling or rebooting. SystemTap version 2.9 is included in this Toolset. Eclipse is probably the most widely used Integrated Development Environment for writing code in various languages, the most recent Eclipse version 4.5.2 is included in this Toolset. GCC is a well known Gnu Compiler Collection for languages like C / C++ and Fortran. Toolset 4.1 comes bundled with GCC version 5.3.1 . Memstomp is used by developers and system administrators to troubleshoot memory related issues on Linux systems; memstomp version 0.1.5 is part of this Toolset. Valgrind tool is used to diagnose memory and thread related bugs; it is better refered as “Memory Bug Detector”. 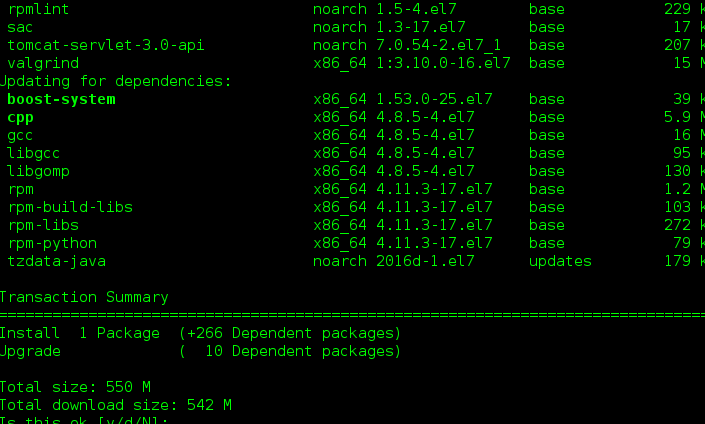 Valgrind 3.11.0 is part of Redhat Developer Toolset 4.1 . Strace is used by low level languge developers to debug and monitor system calls. Strace 4.1.0 can be installed using the latest Toolset. Dyninst lets you monitor executable’s behaviour and performance during their execution process. Dyninst version 9.1.0 is included here. 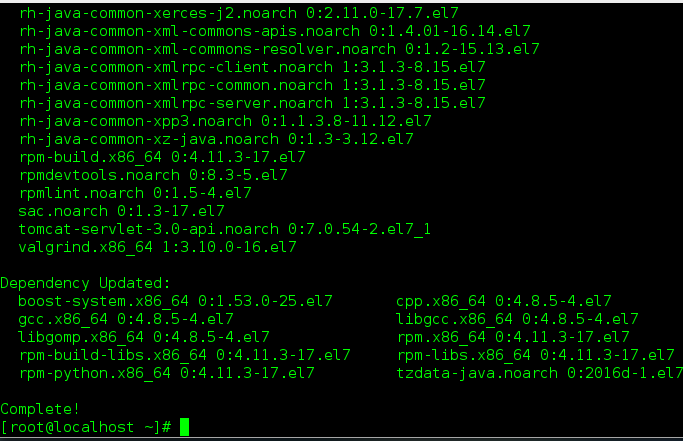 OProfile is a system wide profiler tool for Linux system, it is an awesome tool for system’s statistics. OProfile 1.1.0 is included in this bundle. Excited? Alright lets get straight to the installation process for this Toolset, its pretty simple and easy. First of all, make sure to install CentOS’s Software Collection Library (SCL) on your system. SCL enables our Linux system to install and run multiple versions of one application. 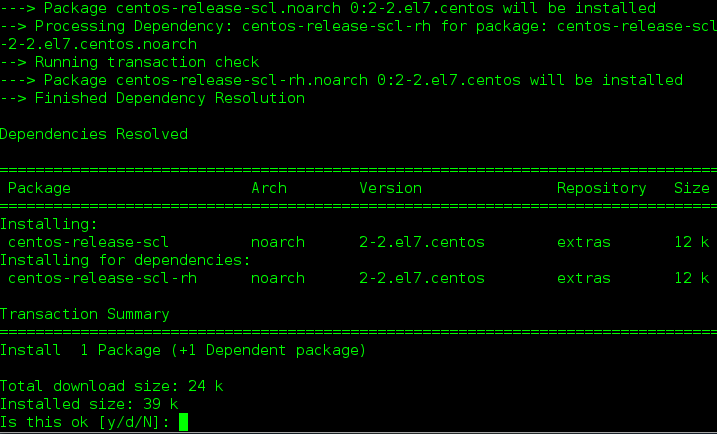 Run following command to install SCL on CentOS. That’s it, simply run following Yum command to install Toolset 4.1 on your sytem. It will take around 550 MB of space on your hard disk, confirm the download of packages by typing “Y” and hitting Enter. Sit back and relax, it will take few minutes to complete the installation of Developer Toolset 4.1. For any reason, if you are looking to install older version of these toolset, use following command to install 3.1 version. Let’s see how to use this Toolset to install some particular packages. First of all, get yourself familiarize with its environment by using the following command. It will list all available packages that can be installed using this Toolset. Here is how the sample output will be displayed, from here you will be able to see which packages and their respective versions are available for install. Let’s say we want to install ” tika” package on our system. It can be achieved by using the following command. You can also install the debugging information for any package available in the Toolset. In order to install debugging information for any package, follow the below mentioned syntax. Redhat Developer Toolset is a nice collection of applications that makes a programmer’s life easy. You can easily use multiple versions of your needed developer tools on a single system. This Toolset offers an extremely rich set of features and can be easily installed and used on CentOS systems too.